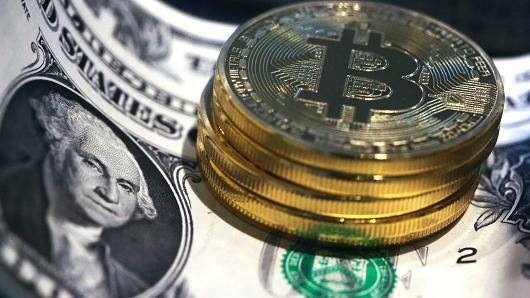 Bitcoin prices continue to rise, and today saw a spike that almost touched the $1,500 mark. Nevertheless, going as high as $1,477, this is the highest value bitcoin has achieved in history. Over the past year, bitcoin prices have more than tripled from around $400 to above $1,200 in March this year. The value of bitcoins has been steadily rising for the past 2 weeks, and it has been a continuous record breaking week. These gains continues to accumulate as Japanese bitcoin exchanges began trading, and extended across other major global exchanges. In total, there has been about a 5% gain in bitcoin prices over the past 3 days alone, pushing the value of bitcoin to top $1,477 after gaining almost $70. Bitcoin prices closed just above $1,460 in most exchanges, and there are various reasons for this. After overtaking China as the world’s largest bitcoin market, Japan has gone further to accept bitcoin as legal tender. As of the 1st of April, bitcoin became accepted in Japan raising the demand and consequently, prices. Of all the trading volume experienced today leading to the surge in bitcoin prices, about 50% of it came from Japan. It shows that the effect of Japan’s legalization is perhaps the main driving force behind the most recent surge in bitcoin prices. According to the new regulations set to govern bitcoin in Japan, bitcoin exchanges are supposed to acquire new licenses. Now there are 18 companies applying for the license, which should decrease fraudulent use of bitcoin. The consumers and investors are also going to be more confident in bitcoin with the new regulations in place. The Mt. Gox incident in 2014 is still quite fresh among Japanese consumers, and many of them were cautious about bitcoin use, as you would imagine. One of the new regulations require minimum capital requirements by the bitcoin exchanges, something that ensures users will always be able to trade their bitcoins. In a previous post, I mentioned how stricter regulations on bitcoin exchanges in China would be a good thing for bitcoin, and now it’s showing. Despite causing a dip of about 30% at the moment, the long-term effect was positive. The most significant concern among financial regulators was bitcoin’s use for ‘suspicious’ activity. With more regulations over it, it would restore confidence in bitcoin among regulators and investors alike. This is what we’re seeing now as the SEC reconsiders the Winklevoss twins’ bitcoin ETF and Japan’s legalization of bitcoin. Earlier this year on the 10th of March, the SEC denied the application for a bitcoin ETF proposed by the Winklevoss twins. This had put a dent on bitcoin prices, taking it several notches lower from above $1,300 to $1,060. If approved, the ETF would have been listed on the BATS Exchange, and now the exchange has requested a repeal of the SEC’s decision. The appeal has been accepted, and the SEC is set to review the bitcoin ETF once again. Even the chance of a bitcoin ETF being listed on a US exchange, which is the second largest market, is enough to raise bitcoin prices. It isn’t the first time either, because the previous market expectations are what caused bitcoin prices to reach above $1,300 in March. This time, there’s even more hope following the acceptance of bitcoin in Japan, and markets expect the SEC may reconsider their attitude toward the cryptocurrency. The current price surge may not be over yet as market confidence continues to increase. It might take a while for the SEC to hand down its decision about the bitcoin ETF, and chances are this second bid may also be turned down. In the meantime, bitcoin prices will probably keep rising and perhaps reach $1,500. On the other hand, Bitfinex, a major bitcoin exchange has not been able to process wire transfers, which could turn into another Mt Gox incident. These problems at Bitfinex may hurt bitcoin’s growth if the situation is not resolved soon, but for now, we just have to wait and see how things turn out.